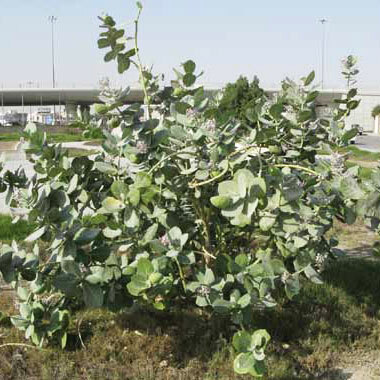 Growth form: Shrub or tree. Flowering. May–Jul. Status: Introduced. Local. Also recorded: Bahrain, Kuwait, UAE. 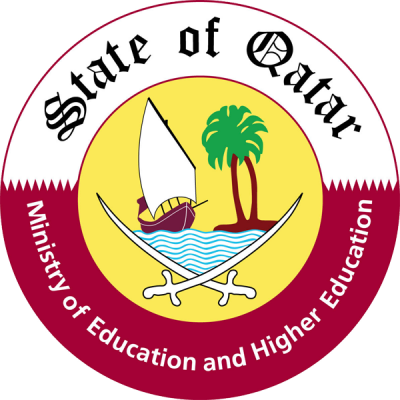 Habitat & distribution: In Qatar mainly in disturbed areas where there is run-off of rainwater or irrigation, such as farms, roadsides and gardens. Rarely away from habitation. Not included in the accounts by Batanouny or El Amin, but was probably less common in the past. Uses: Not edible and probably poisonous. Mandaville discusses the toxicity in some detail. He also notes that it is ‘well known to many bedouin who remember the shrub as the source of wood used in preparation of the best charcoal for the manufacture of black gunpowder’. Leaves and latex are used for treating wounds, pain, scorpion stings and for strengthening muscles affected by paralysis (Ghazanfar).